Over one-third of Americans have hypertension. All those people think they need to be put on meds to get their blood pressure back to normal. For some people that is the only way to get their blood pressure into normal ranges. 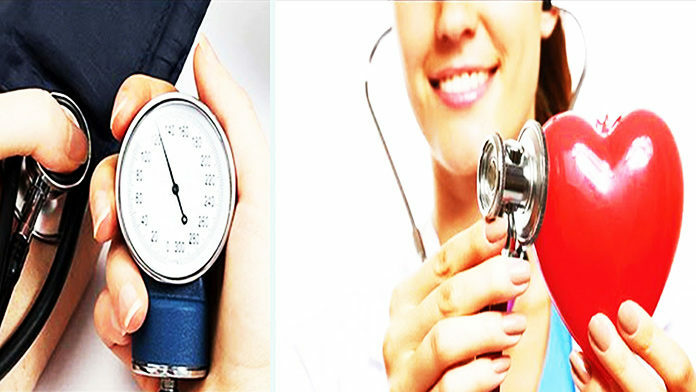 However, for others, there are natural remedies for lowering blood pressure. One of the best ways if not the best way, is exercise. Exercise is an excellent remedy for a vast number of ailments. For people that are overweight, have high cholesterol, and high blood pressure. You don’t have to hit the gym 7 days a week, or workout so hard you almost pass out. All it takes is a brisk walk for 20 to 30 minutes a day. That’s all you have to do is get your heart pumping, and you are on your way. Another remedy is cutting out fatty foods. Try to stop eating at fast food restaurants; those are the worst places to go if you are trying to get healthy. There have been documentaries about what fast food can do to your body and your blood pressure. Salt, cut it out altogether. There are other things out there to add flavor to your food. Stop eating fried food, fried chicken, fried pork chops, fried fish; it’s all bad for you. If you still want to eat those kinds of food, well, you can. Just bake, broil or grill it. One of the hardest things I had to do is cut back on my sodas. It’s true, look on the back of the labels of the next drink you have. You would be amazed at the high level of sodium that goes into each serving. I know the alternative to soda doesn’t sound too appealing; however, water is the best alternative for you. Water doesn’t do the damage that soda does, and it’s a heck of a lot cheaper. It will make a world of difference in the way you feel as well. Eat plenty of fruit people, apples, grapes you name it, it’s right for you. Try to eat grapes for a snack instead of overeating with candy and potato chips. They taste just as good, and it’s a whole lot cheaper and better for you. I know all these remedies may be more desperate to do then I make it out to be. However, you have to take that first step. I wouldn’t recommend trying to cut everything out all at one time. I would take one step one week, then another in a couple of weeks and so on and so on. It’s your life people, and you are the only one that can determine if you want to do this. If you decide to go with these essential hypertension remedies, your body will thank you for it, and so will the people who love you.